Today I made my first Cheese Souffle. 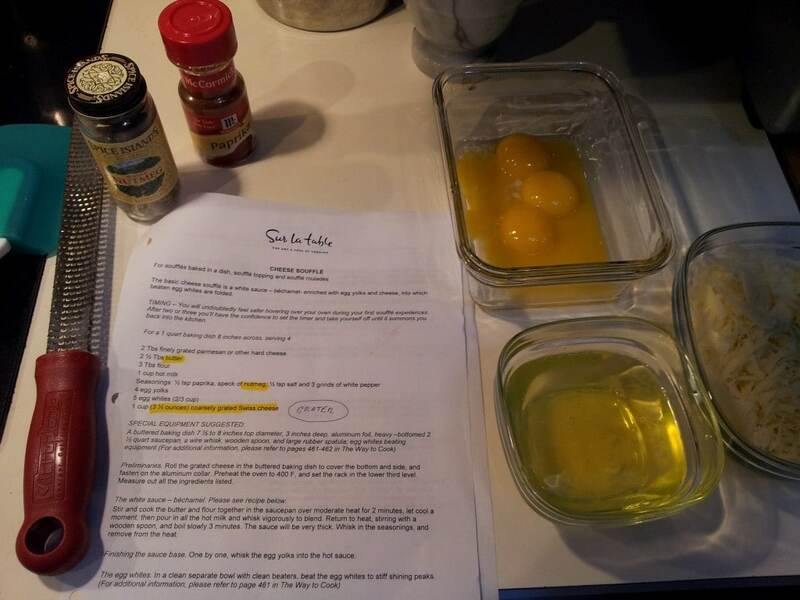 It was a recipe adapted from Julia Child’s by Sur la table. At the Cooking School** the students make small individual souffles. Here’s my baked souffle. 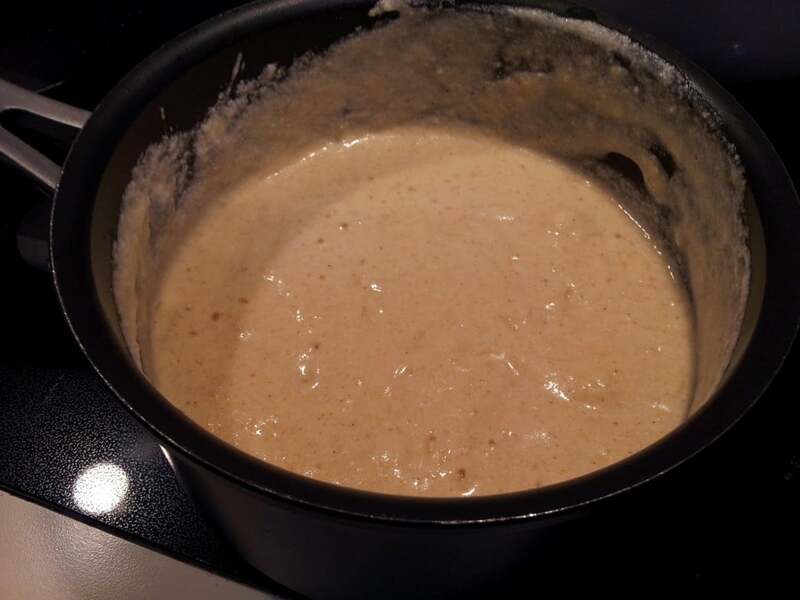 It would have risen higher if I used a smaller baking dish. It’s important to get all your ingredients ready before you start any of the cooking. 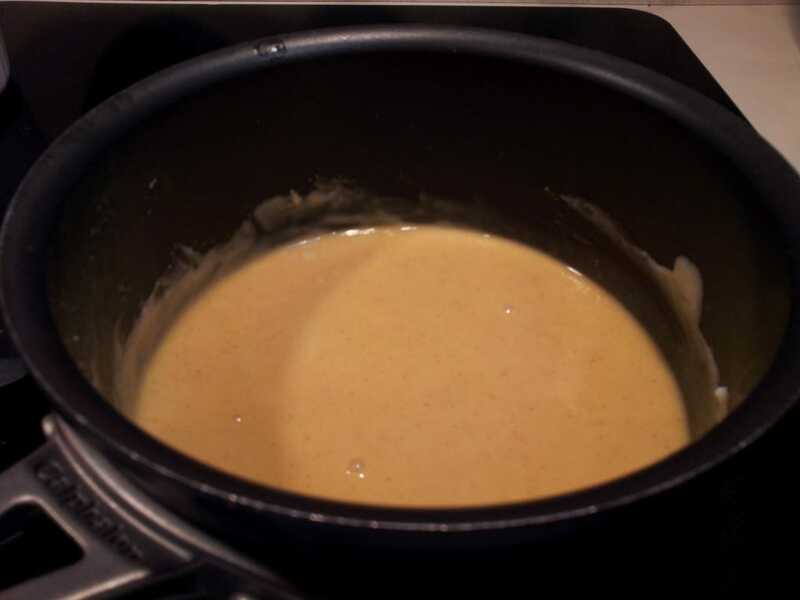 Here is the melted butter before I added the flour, hot milk, seasonings and the prepared baking dish. Separated eggs and cheese at the ready. 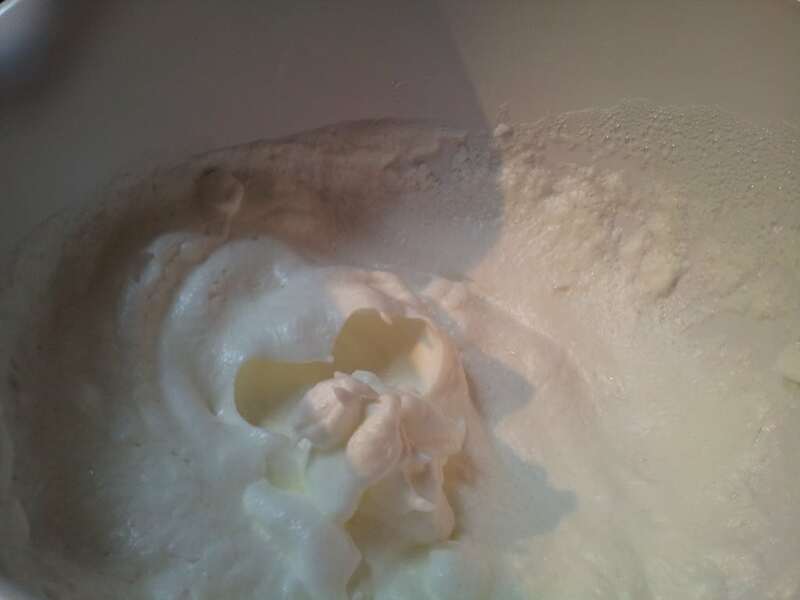 The whipped egg whites… should have kept whisking a bit longer for stiffer peaks. 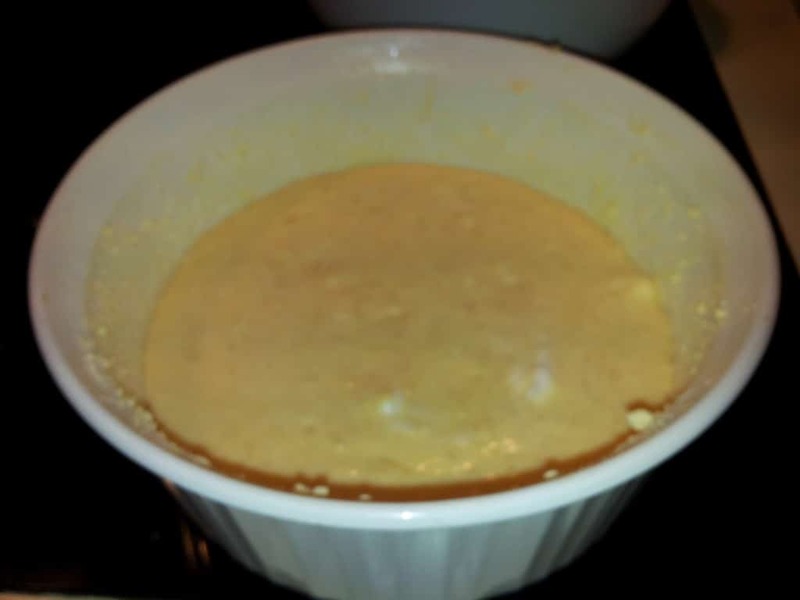 The mixture poured into the prepared baking dish ready for the oven. Unfortunately, too big of a dish. 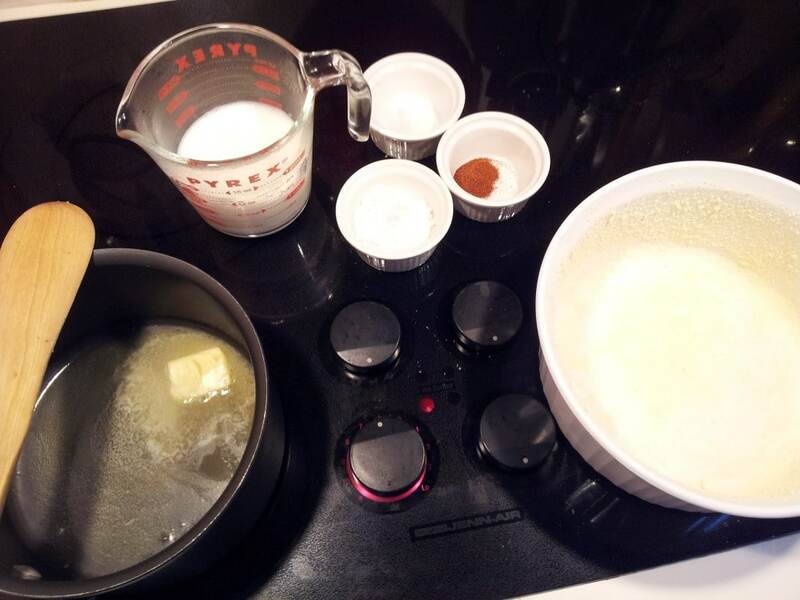 Julia Child's cheese souffle recipe adapted by Sur la table. You can see in this how-to video, Jacques Pepin and Julia Child making a souffle. There are some commercials in the middle but keep watching. It’s much easier with 2 people/4 hands. Pepin is such a Master. I now know I used too big of a baking dish and didn’t have stiff enough egg white peaks. Next time I will also use a “collar”. I need some copper pans. 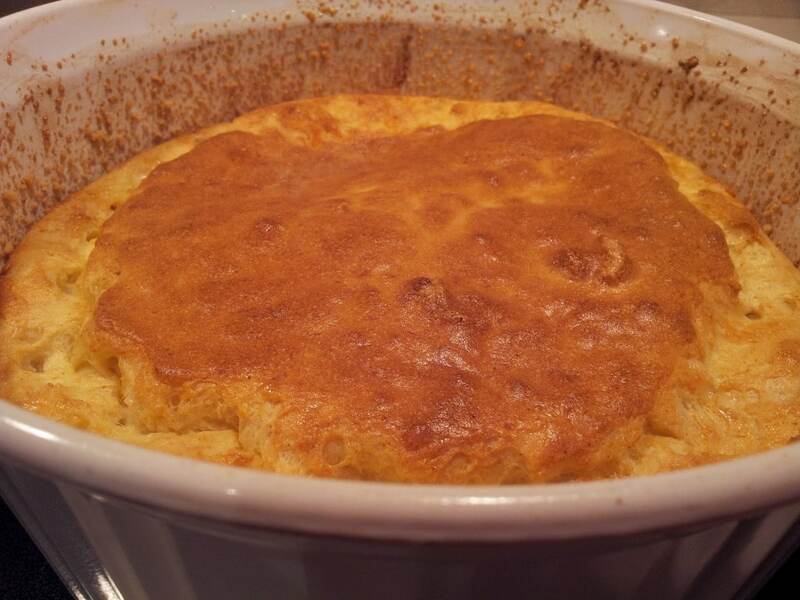 All in all, not bad for a Greek Gal’s first try at a French Cheese Souffle.